Salvatore Ferragamo has launched Acqua Essenziale Colonia, a new fragrance for men. Acqua Essenziale Colonia is a flanker to 2013's Acqua Essenziale, and follows 2014's Acqua Essenziale Blu. 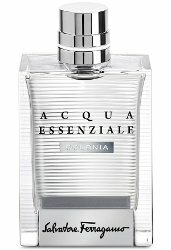 Acqua Essenziale Colonia is a refined, masculine scent that captures the spark of light, the pleasure of the seasons and the sophisticated, innovative sense of freshness. The notes feature bergamot, coriander, petit grain, orange blossom, lavender, clary sage, ambrox, tonka bean and vetiver. Salvatore Ferragamo Acqua Essenziale Colonia is available now at Nordstrom, in 50 or 100 ml Eau de Toilette.